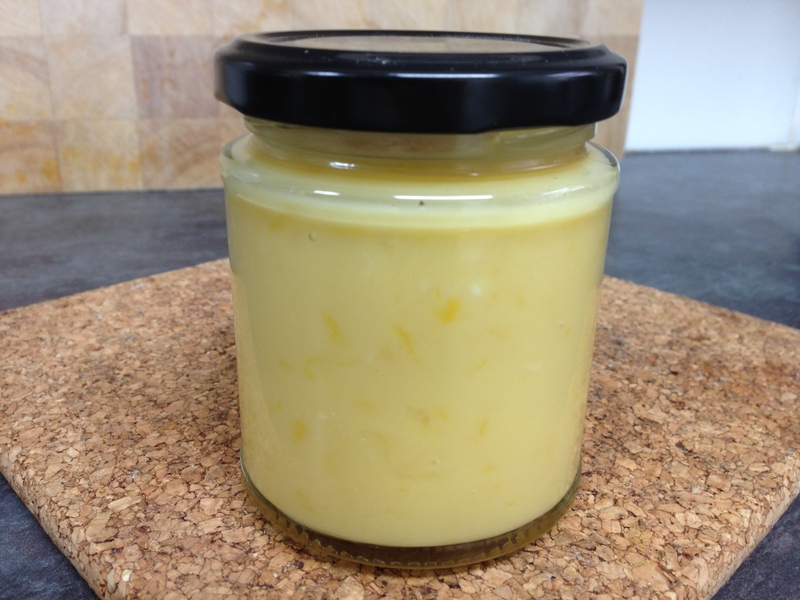 Lemon curd is so easy to make, and much nicer than anything you can buy in the shops. Alex and I made this batch as surprise filler for mummy’s Lemon Drizzle birthday cake. We’ve used a bain marie here to prevent the mix from curdling and turning into a pan of lemon scrambled eggs – this is only a precaution and lemon curd can be made directly in the pan with some care. The cornflour will help to stabilize the mixture. This recipe works equally well with other citrus fruit, and I’ve even had success with both gooseberry and blackcurrant curd in the past, so experiment with whatever you have at hand. Next Post Lemon Drizzle Cake – Birthday Special!